The online course that shows you how to create a wow-factor LinkedIn profile. Hi. I'm Eleanor Shakiba, your course presenter. If you want to impress your next boss or customer on LinkedIn, you’re in the right place. Lesson 1. How to stand out on LinkedIn. Pinpoint the strengths and weaknesses of your current profile page, by completing a self-assessment quiz. Develop your blueprint for writing a high impact profile. Discover 4 principles of successful personal branding. Lesson 2. Post the right photo. Discover how to take the perfect profile shot. Take high quality selfies or brief a professional photographer. Make your page eye-catching with creative images that will sell your skills. Lesson 3. Be keyword savvy. Choose and use the right keywords. This will bring the right viewers to your page, so you get more offers. Take the hard work out of developing keywords, using downloadable templates. Lesson 4. Craft a power-packed headline and summary section. Sell your skills and talents with a high impact headline. Write a dazzling profile summary with minimal effort and maximum impact. This lesson includes downloadable templates to make writing a breeze. Lesson 5. Put your skills in the spotlight. Pinpoint your most valuable skills. Describe them in ways that spotlight your expertise. Using cheat sheets and templates, create a wow-factor experience (CV) section. Lesson 6. Showcase your talent. Use multi-media to beef up your experience section. Make sure YOU stand out in the digital crowd. Learn how to take your profile page to a new level with smart design choices. I'm a master trainer and success coach, based in Sydney. My passion is helping smart professionals - like you - to excel. In 2017, I set up Success Factor Academy to achieve my goal of training 100,000 people by 2020. I've already taught 50,000 people skills for career success. I’d love to work with you next. Having my first book published in 2016. I'm currently working on the next one...so stay tuned! Like you, I am a lifelong learner. My qualifications include a Bachelor’s degree in Social Anthropology, plus postgraduate qualifications in Applied Psychology and Adult Education. I’m also a Trainer/Practitioner in Neuro Linguistic Programming (NLP). I am currently completing qualifications in Positive Psychology, too. I only work with ambitious, success-focused people. I'd love to work with YOU next. Learn how with this amazing, sneak peek offer. 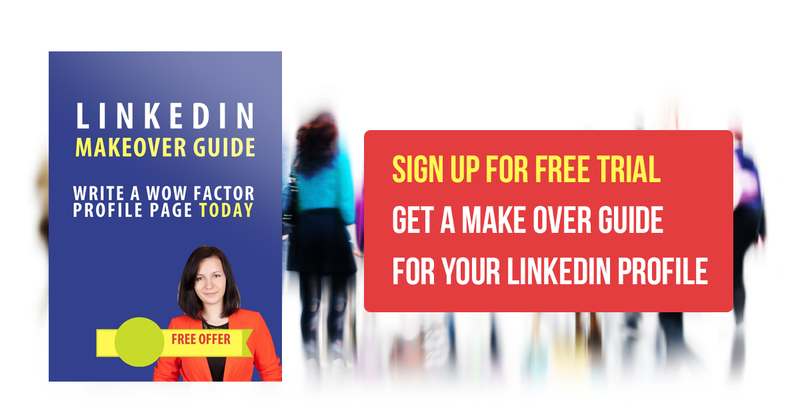 Get your FREE copy of my LinkedIn Makeover guide. Plus 6 free training videos. Sign up now.